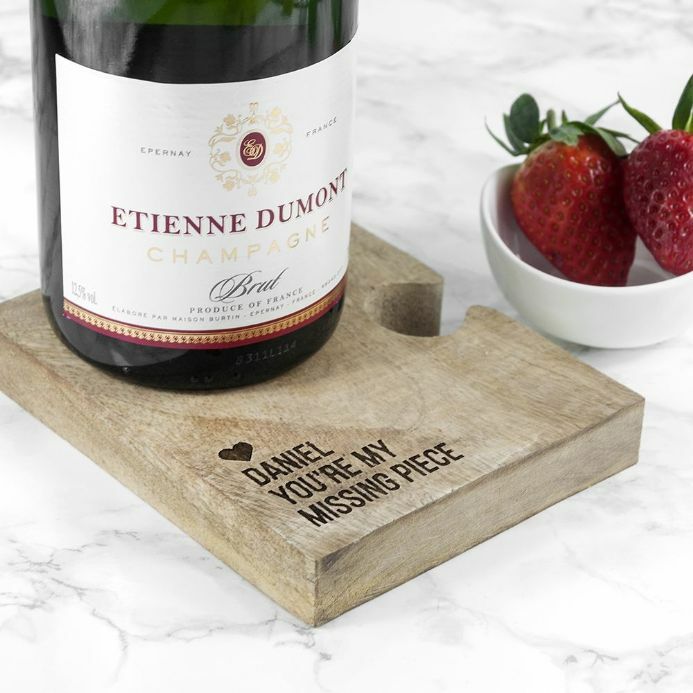 If you're worried about the cold bottle of champagne, prosecco or any drink leaving a ring of cold water on your new coffee table, then this gift is for you. 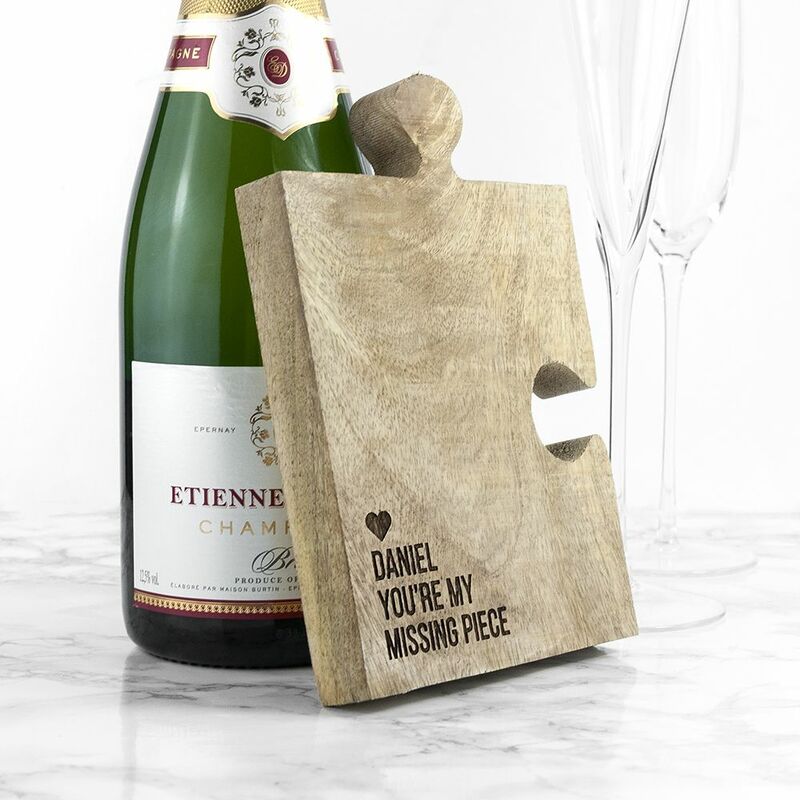 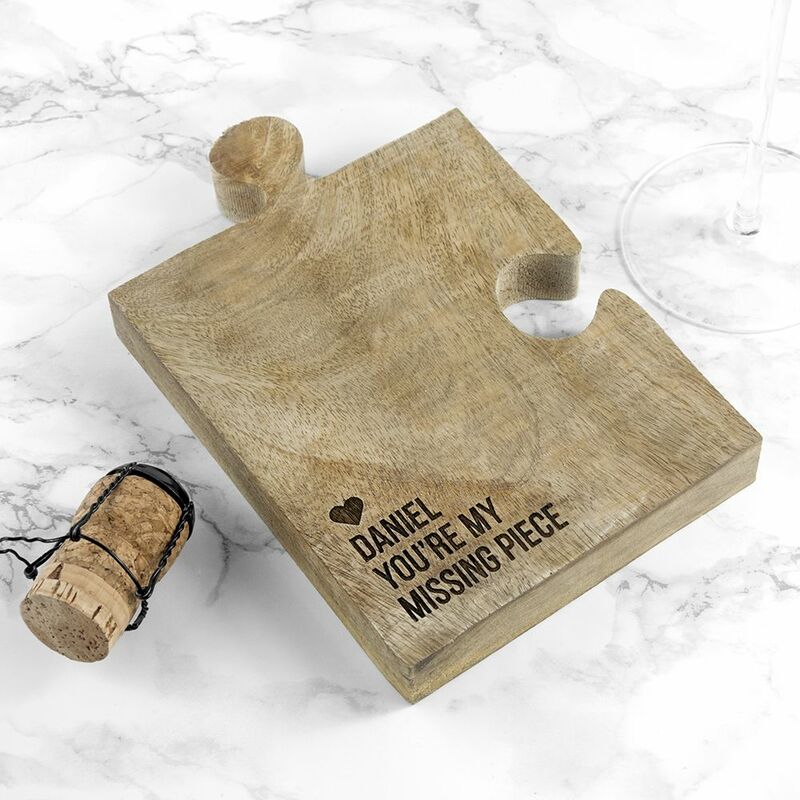 This quirky oak wood jigsaw bottle coaster is a fun gift for your significant other. 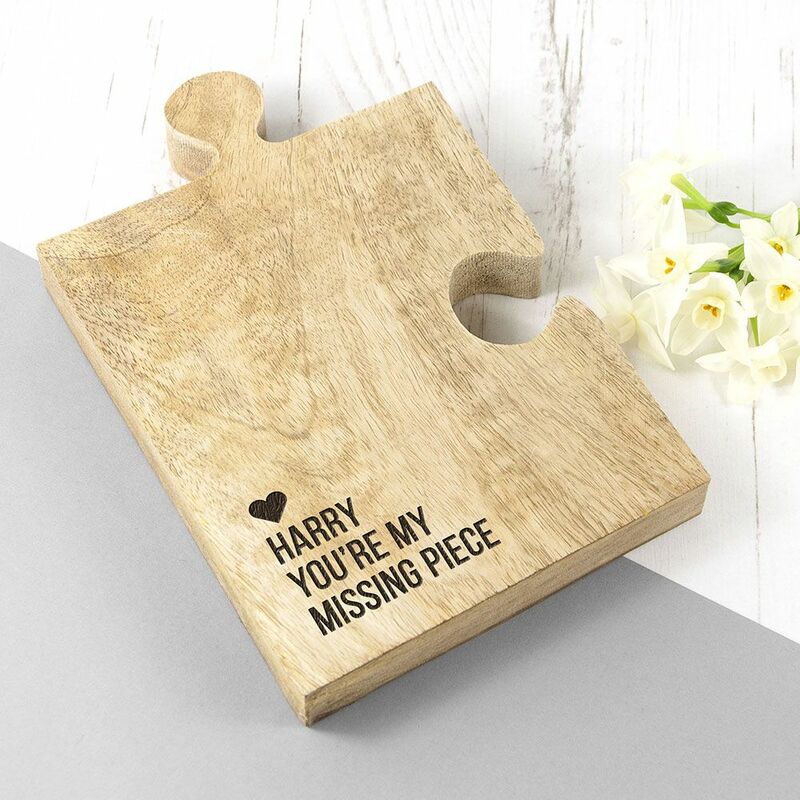 Personalised with "You're my missing piece" as standard text, it's on the nose, tongue-in-cheek with its overall look and aesthetic.